When buying a home it is imperative to get a pre-approved mortgage letter that shows the seller that you have bank financing and that you are a qualified buyer. My Loan Quote helps connect first time home buyers and borrowers with lenders that offer pre-qualification mortgage options with credibility. A pre-approved mortgage is much more than just a quote. It's like a badge for home buyers that symbolize having a credit approval from a bank or lender. Mortgage pre-approvals are very important to sellers when considering bids from prospective buyers because they do not want to waste their time with people that cannot perform according to their agreement. Simply put, a mortgage pre-qualification is a bank's estimate of how much a consumer is approved to borrow based on what size loan amount a lender is committing to extend. The driving factors of a mortgage pre-approval are credit, debt to income ratio and significance of the down-payment from the borrower. In most cases, the best time to get a pre-approved mortgage is in the early stages of the house hunting process. Most realtors and lenders suggest get pre-qualified for a home loan before shopping online or driving around town with an agent. Compare Loans with No Hassles! My Loan Quote will help you compare quotes on 10, 15, and 30-year amortization schedules. We are a trusted national mortgage service who has experience connecting applicants with loan companies that provide superb service with interest rates below industry levels. MLQ connects you with home mortgage lenders quickly! Since My Loan Quote has a relationship with the nation's leading mortgage lenders you know that you will be getting a low rate home loan in addition to exceptional service. Quick Mortgage Qualification Letters issued from Trusted Loan Companies Online! We accept loan applications from people with credit scores as low as 500. 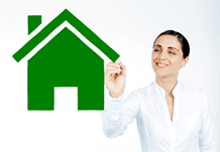 We will search our lending network for lenders that offer the best home loans. You compare loans and select the lender that gets you a pre-approved mortgage that best meets your needs and qualifications. Mortgage pre-approval letters can be issued in all 50 states. Consumers may be eligible for certain home loan incentives. Loans are approved based on credit, income and the underwriters' assessment of your risk factor. Additional limitations may apply on home loans located in high cost regions in California, Connecticut, Hawaii, Maryland, Massachusetts, New York, Virginia, and Washington DC. Please note that rates, terms and programs for first time home buyers lending are subject to change without notice. All purchase, mortgage refinance and home equity loans are subject to creditor approval from a licensed lender. Call My Loan Quote for more specifics regarding underwriting guidelines and requirements.